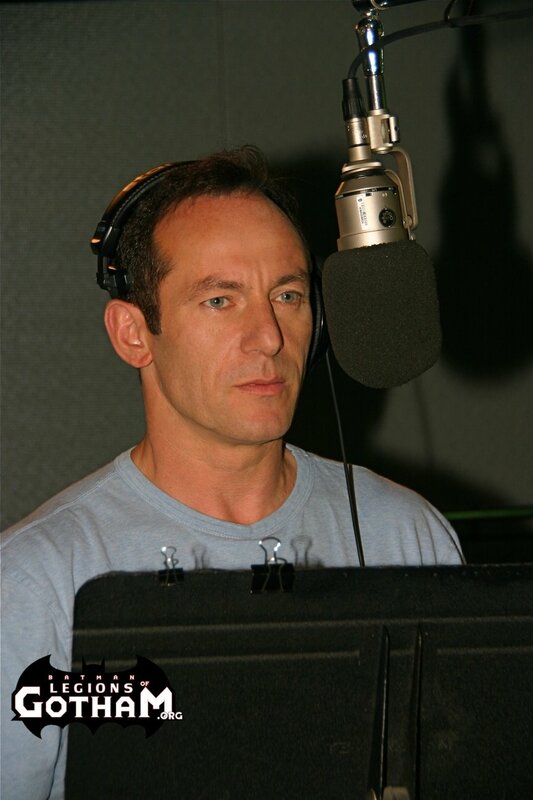 Jason Isaacs, renowned for his villainous turn as Lucius Malfoy in the Harry Potter films, assumes another dark iconic role as the voice of Ra’s al Ghul in Batman: Under the Red Hood, the latest entry in the ongoing series of DC Universe Animated Original PG-13 Movies coming July 27, 2010 to Blu-ray, DVD, OnDemand and for Download. In Batman: Under the Red Hood, Isaacs gives Batman’s nemesis Ra’s al Ghul a sympathetic twist as the villain attempts to right his own wrongs and help Batman in his efforts against both Red Hood and the Joker. Isaacs is an integral part of an all-star cast that includes Bruce Greenwood (Star Trek), Jensen Ackles (Supernatural), Neil Patrick Harris (How I Met Your Mother) and John DiMaggio (Futurama). Produced by Warner Premiere, DC Entertainment and Warner Bros. Animation, Batman: Under the Red Hood will be distributed by Warner Home Video as a Special Edition version on Blu-Ray™ and 2-disc DVD, as well as being available on single disc DVD, On Demand and for Download. 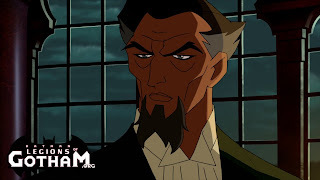 QUESTION: This isn’t really the Ra’s al Ghul we’re accustomed to seeing – what’s the nutshell synopsis of his part in Batman: Under the Red Hood? 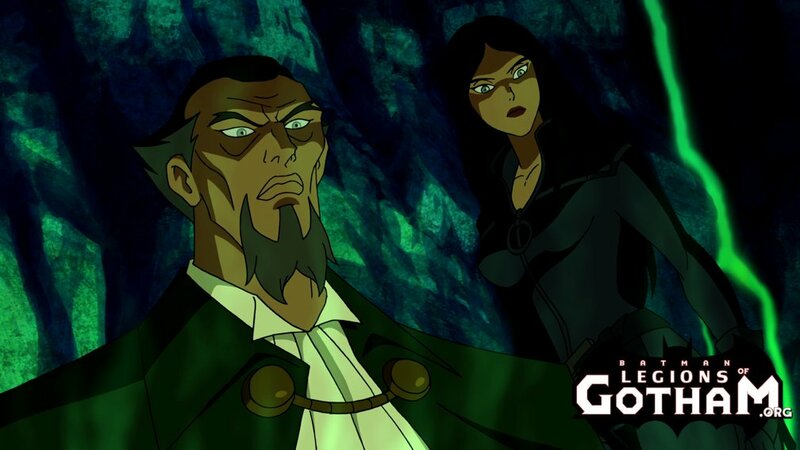 This role is a bit unusual for Ra's al Ghul as he’s been Batman's nemesis a lot in the past. But this time he is actually full of regret for a mistake that he has made, and his inability to control the Joker. A lot of what happens for Ra’s in this story is him explaining to Batman how things went so badly awry, and how Robin ended up quite so dead. QUESTION: Liam Neeson set a standard for Ra’s in Batman Begins. 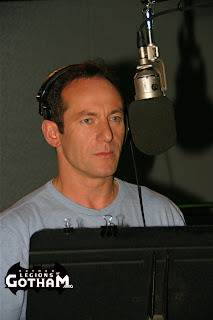 How did you decide to approach the voice for this film? Well, I didn’t think there was much point to doing an impression of Liam, mostly because he does it far better than me (he laughs). So I read the script and I looked at the pictures. He looked like a man with a lot of dignity and authority – there's a kind of stateliness about him. He's been alive for six centuries, which would give him a certain classiness, I thought. Obviously he's been powerful all that time, and certainly possessed tons of wealth and influence. So I tried to put all of that into the tone to his voice. You were very participatory in crafting some of the dialogue as you recorded the film. How important is it for the actor to be able to contribute to the character? This is one of the things that happens when a script has been written and rewritten and rewritten again, and considered by so many people so often, and they all have different agendas. They all know what story blocks they're putting together, and what the visual sequences look like. And then the actor comes in. Sometimes just the very last set of eyes laid on the script, by the person who's meant to bring it to life, can point out an inconsistency or a logical flaw where the meaning isn't clear. It's happened a few times in my life that you see a room full of people surprised because they thought the meaning was crystal clear. But if I don't really understand what I'm saying or why, I'm not sure the audience will, either. So I offer up my thoughts to the director or whoever and, if they agree with me, then we change it. And if they don't, then I do whatever I'm asked because, in the end, I'm just a hired larynx. Do you believe there is a certain elegant villainy to a British accent? Or is that a purely American concept? I think one of the reasons British people play so many villains in Hollywood stories is that there's a tradition of theatre acting and a kind of chameleon-like change that comes from Europe. Well, that and all the good leading parts are already snapped up by the Americans over here (he laughs). I think we have a theatre tradition, and are slightly more prepared to chew the scenery and relish things a bit more. It has more to do with reaching the back row. Besides, very often the juiciest role is the villain. The hero is difficult to play anyway. They're mostly homegrown and very good at it. Is villainy fun to play? The thing that’s fun to play are well written parts. It's absolutely torturous to play something that is written purely for its effect on the audience, and doesn't seem believable to you. Or, even worse, somebody that just has no reason to be or speak. Very often there are chunks of exposition that just would not be said between people. So evil is fun to play when it's written sensibly and well. There's nothing worse than playing a villain who is outsmarted by the hero from the beginning, and doing things that are purely sadistic in a way that nobody will ever do. I think the most monstrous things an audience reacts to are when they understand that that character has to do it, needs to do it, must do it – and if the audience was in the same situation, they would do it, also. Nobody ever thinks they're doing the wrong thing. So when the part is well enough written, the actor responds to the character, because he thinks that he’s doing the right thing. That's much more disturbing to watch because you recognize the inevitability of it. You can’t escape that. The best written villain roles are the ones that feel real and understandable – because those are the ones that haunt your nightmares. What’s it like to be the ultimate nice guy, and yet most recognized for the villains you’ve portrayed? I've played priests and I've played transvestites, wizards and pirates, and everything in between. But there are certain roles people remember best. I think that if I spend a day going around town and everybody opens doors for me and says “hi” and “have a nice day,” but one guy pokes me in the eye with a toothpick, he's the guy I remember at the end of the day. So, if people remember me as playing villains – and I've played two or three of them – that's because those parts have kind of hit a consciousness. I've been lucky enough to have a couple of very juicy, very well written parts in stories where the people telling the story were smart enough to give the villain power. That's very often not the case in Hollywood movies. Maybe one of the reasons I've done well when I have played villains is because I spend most of my life like most people – trying to make sure that I do the right thing, and make sure that the people like me, and I'm not behaving (badly). 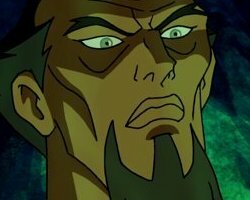 So when I do play a villain once in awhile, it's nice to be let off the leash and allowed to be deeply unpleasant with no consequences. Was your childhood affected at all by comic books, or is the omnipresence of the super hero in Hollywood just making its mark on you? I was slightly suspicious of the whole comic and graphic novel rebirth, because I wasn't any part of it and hadn't read any comics in so long. But I remember when I was a kid how addicted I had been to all the DC and Marvel comics. I had mountains of them in my room – you couldn't open the door. I wondered why everyone was suddenly (making comics into films). Then when my friend Paul Greengrass was getting involved in preparing the Watchman a few years ago to direct, which then fell apart and it was directed by someone else, I had a look at it. I wondered why somebody I respected and like so much would be involved, and I picked it up and suddenly realized the things I had been missing for all these years. I mean, as a kid, I was addicted to comics. I couldn't wait for every Sunday when my family and I would go and get fish and chips – that’s an English kind of junk food tradition (he laughs). There was a little shop next door that sold candy and had boxes of used comics. My dad would give me money, and all week I would look forward to rummaging through the boxes and seeing if I could find something that I loved. All those wonderful characters – I was addicted to it all. 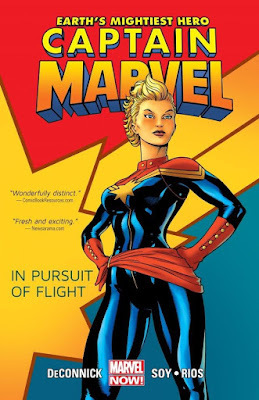 I would be dismissive of some new character – anybody relatively new I would dimiss as some pretender, but then I would get one of their comics … and then I would have to go get the rest of the series. My bed was propped with them by the end. QUESTION: Do you understand what was at the core of that love affair with comics? I just know that I did. In some ways, it's like asking why somebody likes chocolate and somebody else likes strawberry. There's something that works about it there. It's a combination of the art and the amount that your imagination fills in between the gaps. And the fact that the restraints and controls are taken off. When you make a movie, it's a very literal medium -- you watch the story, and it's as if you're looking through a keyhole. It's very hard to take people on a fantastical journey, but in these beautiful and bright frames you can take them to any universe you create. And 90 percent of it the reader does by himself. It's amazing in this generation that somebody has married all that stuff to actually very adult themes. Maybe one of the reasons that I loved them so much is that, at that age, when you're a kid, you're not quite sure what the physical realities of the world are. It wasn't inconceivable to me that I might get one of these super powers soon. I might be bitten by a radioactive spider, or that I could someday fly, or be bulletproof, or whatever. I fancied that those powers were somehow accessible and within my reach. And sadly, as you get older, it seems less and less likely. Does acting in a Batman film have any added significance for you? Well, this is probably the closest I'm going to get to work with Chris Nolan (he laughs). Batman is such an iconic figure – he’s rather dark, mysterious, and a disturbed damaged guy. But there was always something very, very attractive about Batman that kind of pulls you in. He didn't have any super powers, and I think that was one of the things that makes him very accessible and relatable. It always made it seem that if you really worked hard, you might just get to be Batman – in the same way that, when I played tennis as a kid, I used to think that if I hit a ball against the wall all day every day, I could eventually be beat Bjorn Borg. For me, that's always a remarkable thing. I remember thinking as a kid that if I just practiced martial arts all day, and I got really good at the science stuff, and maybe made a few billion dollars, I could be Batman. So here I am … the closest I'm gonna get.